St. Margaret’s Day School provides children with an opportunity to learn about themselves and the world around them. The school exposes children to learning experiences and gives them ample opportunity to explore, experiment, create and feel successful. A young child needs to have the opportunity to grow in relationships with other children of similar ages socially, emotionally, physically, intellectually, and spiritually. These goals are best achieved in a warm, open learning environment, facilitated by professional, caring adults. Each child is unique and develops at his/her own individual rate. Therefore, the curriculum must reflect each child's own needs, interests and level of development. Specials: Weekly chapel, Jump Bunch and Spanish. Music and the arts are an integral part of our education program. For more information, go to the school's website at www.stmargaretsdayschool.org. "We have been so pleased with all the different educational classes that are offered to the students. Both of the boys have developed strong friendships with fellow classmates over the last four years that we have been attending the school. I even got the added benefit of meeting some of my closest friends through SMDS. 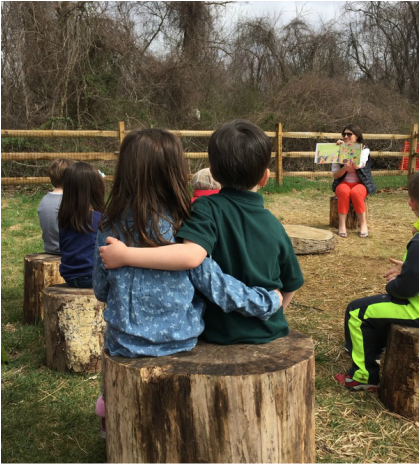 It's so much more than ‘just a school,’ it's a community!"